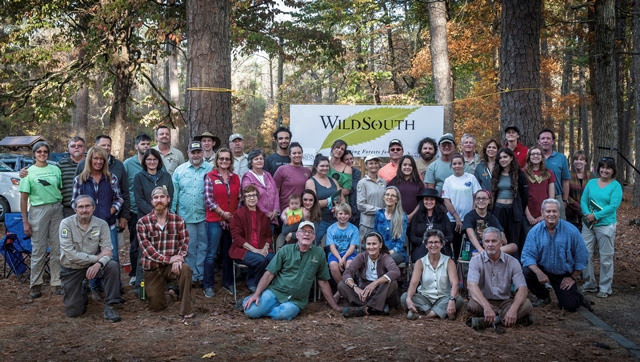 A big THANK YOU to all volunteers, interns, partner organizations, and those who have given your financial support — thank you all for a great year at Wild South! Our work continues to expand, powered by the enthusiasm of communities that love their public lands. 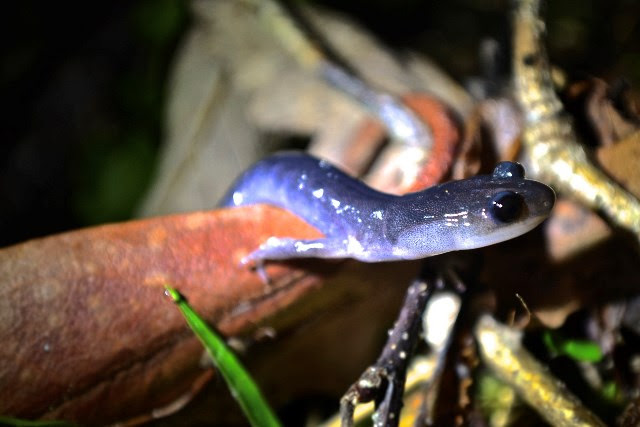 With your help, this month we have protected vulnerable amphibian populations, picked up half a ton of trash in the wilderness, trained new preserve rangers, and fought back the advance of invasive privet. In next month’s e-zine, we’ll look back over a whole year of amazing achievements! We hope you will read and be inspired by our November newsletter. After the first 25 years, Lamar Marshall is still keeping the South WILD! 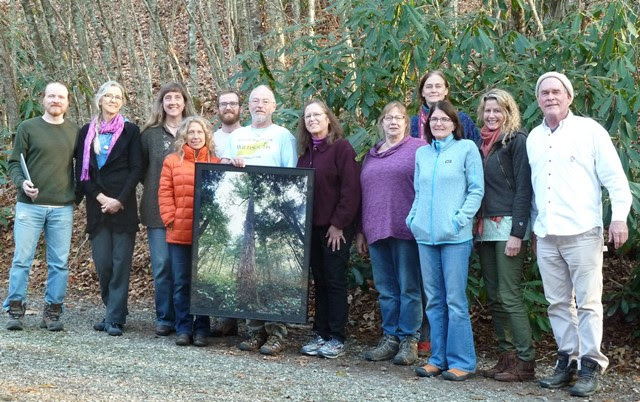 During a recent Wild South staff and board retreat in Wolf Laurel, North Carolina, Wild South founder and Cultural Heritage Director Lamar Marshall was presented with a framed photograph of old-growth forest by Jim Valentine. The gift from staff and board members commemorates Marshall’s twenty-five years of fire-ball activism, hard-won victories and unfailing dedication to the calling of keeping our wild places wild. The story of the movement begun by Lamar Marshall in the Bankhead National Forest in Alabama in 1991 is summed up in this vintage slide show. If you are thankful for our public lands, clean air and water, forests, wild places and the life they support, please consider making a donation to Wild South on Giving Tuesday. It is your generous support that will take us into the next 25 years of keeping it wild! Thank you! 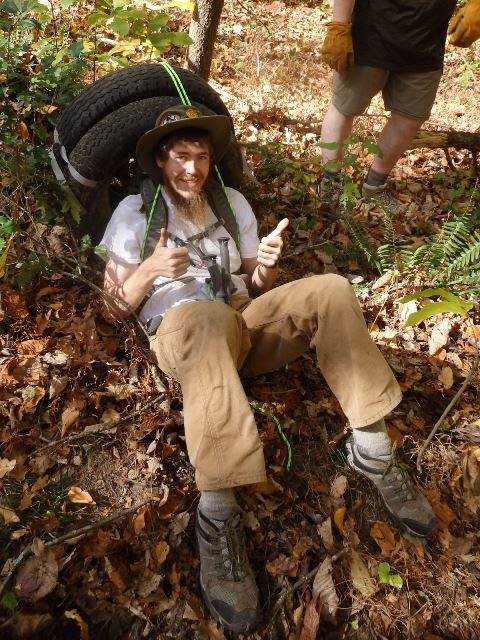 On November 6, two crews tackled some of the last tires and trash left on the south end of Linville Gorge (Linville Gorge Wilderness, North Carolina). Carried in by flood decades ago, this junk is finally being carried out of a remote region by a community that cares. The pictures tell the story. The judges have selected the winners in each of the categories of Wild South’s First Annual Public Lands Photo Contest. Now it’s YOUR turn! We are asking YOU to vote for your favorite photograph. The winning photograph in the public vote will be named the Grand Prize Winner of the contest. 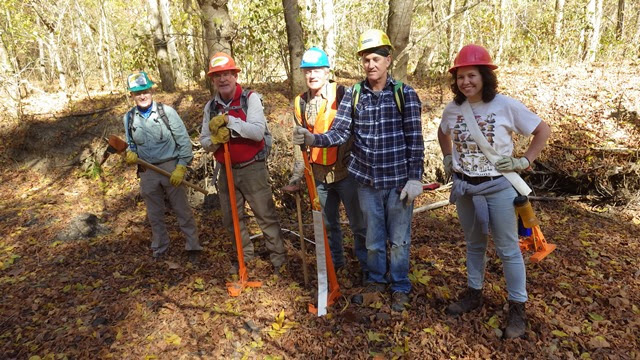 On Sunday, November 20, Wild South trained ten new eager volunteers to provide stewardship to Turkey Creek and Ruffner Mountain Nature Preserves. The new rangers spent the afternoon at Ruffner Mountain learning about Leave No Trace and observing our veteran rangers interfacing with preserve visitors on the mountain. The volunteer preserve program started in the spring of 2015 and has provided over 1,000 hours of volunteer service to the two preserves. Learn more about the program and see the story in pictures HERE. 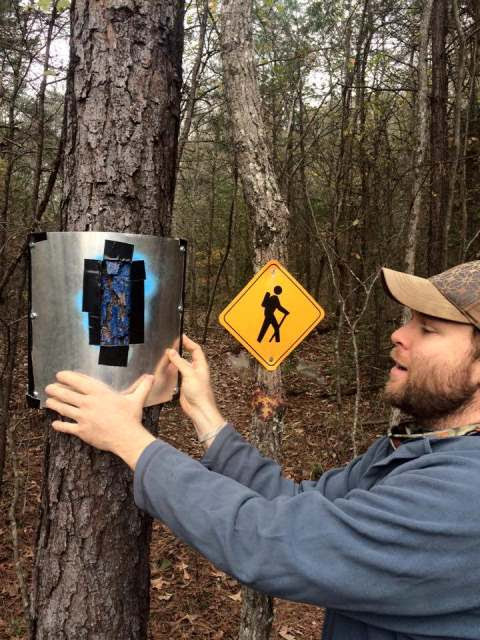 Wild South’s Preserve Ranger Program is made possible by a grant from The Community Foundation of Greater Birmingham and a grant from The Goodrich Foundation. ‘Tis the Season for Pulling Privet! 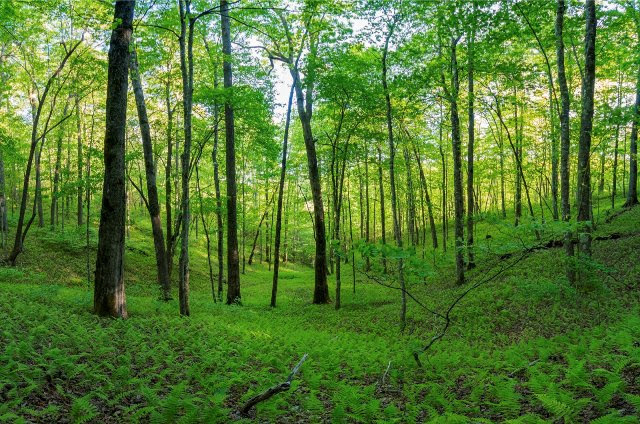 When the leaves fall, it’s privet-pulling time in the Sipsey Wilderness. 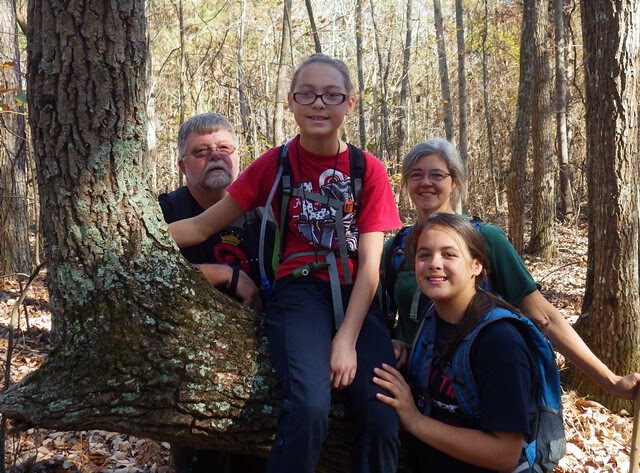 Our volunteer work day on November 19 marked the entry into Wild South’s fifth year of Chinese privet control in the Sipsey Wilderness. The extreme drought has created a unique opportunity for the project as Thompson Creek is so dry it allows us access to privet populations that are normally out of reach because of high water. Thompson Creek now looks like a dry, rocky road. Our next volunteer workday will be December 17. Plan to join us! See the pictures of our November work day!